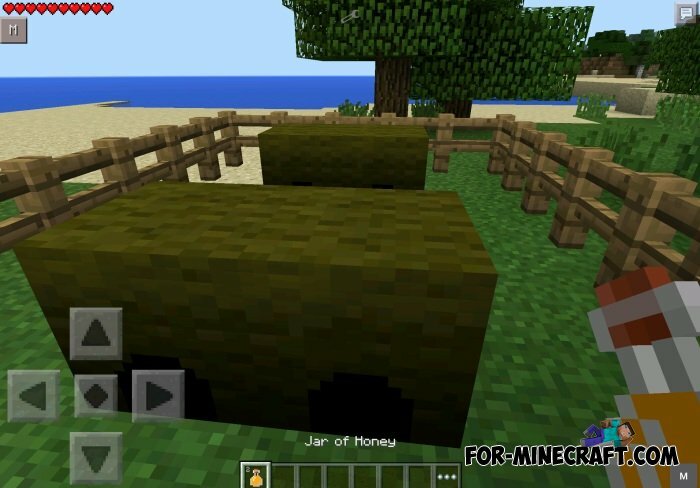 The mod adds a bee and now you can make an apiary at home in the world of Minecraft Pocket Edition. 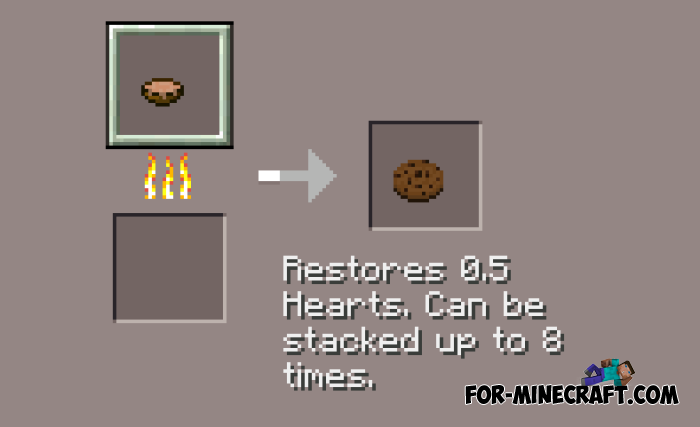 You will be able to extract honey from beehives, and be able to make delicious cookies. Around the world of 0.10.5 will be usual bees, which are very easy to find. Bees do not carry any risk. Bee (ID: 400) - destroy the grass to find a bee. Empty Jar (ID: 401) - you need 6 pieces of glass and one oak boards. Honeycomb (ID: 402) - you need sponge 4 and 5 of yellow dandelions. Before making the hive you need to find a few bees. 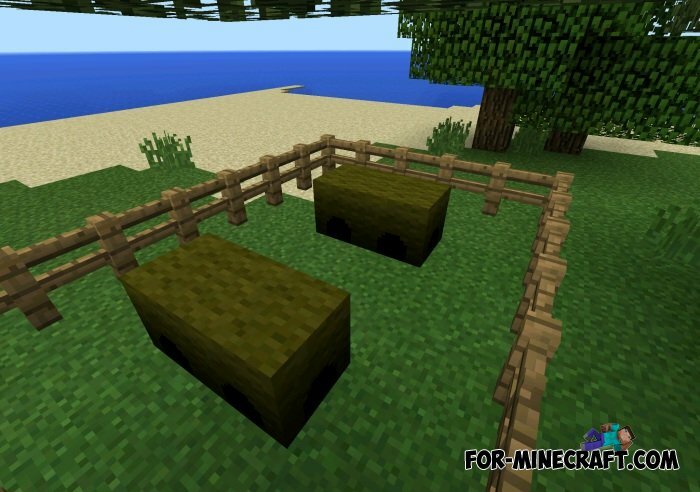 Bees can be hidden under the grass. You can get the honey from the hive. Take the empty jar in his hand and click on the hive. Honey can be used for cookies with honey.